Today is National Weatherperson Day! Celebrate the weather people in your life! The history behind this day is actually in observance of John Jeffries birthday: February 5, 1744. John was the first man in the U.S. to start taking daily weather observations in 1774. He moved to Boston from London early in his life where he got a medical degree and started his career. His observations were momentarily disrupted during the Revolutionary war, however. On the side of Brits and being a witness for the defense of the shooter in the Boston Massacre, he fled to Nova Scotia and back to England. 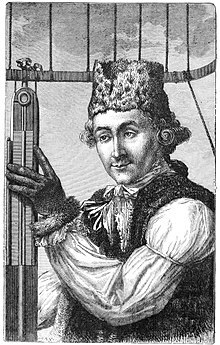 He continued his observations after these events, even making the first balloon weather observation in 1784.